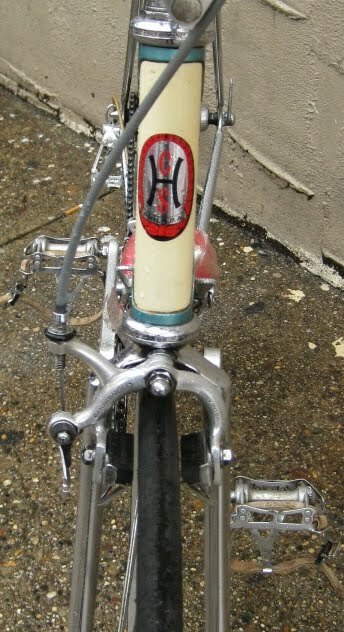 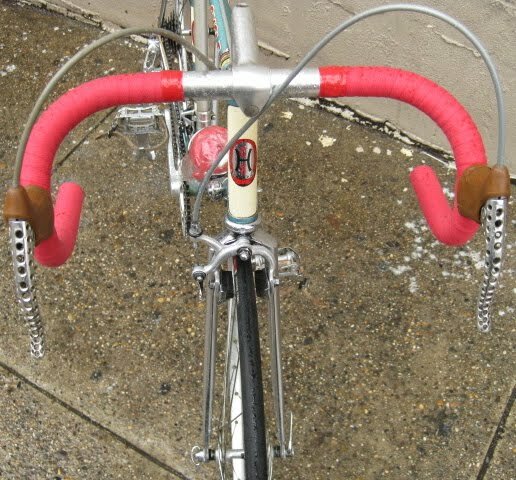 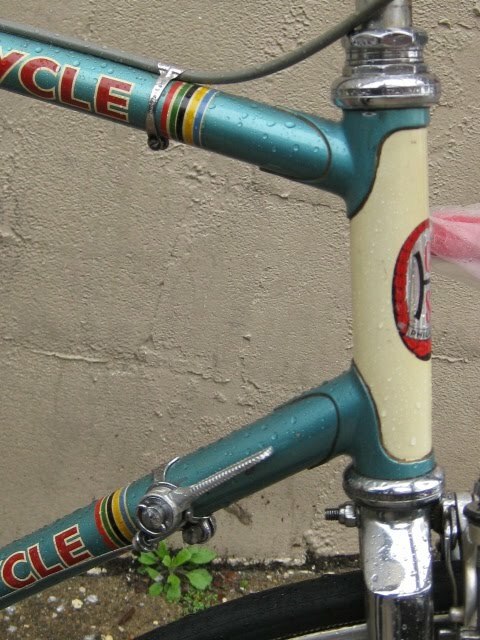 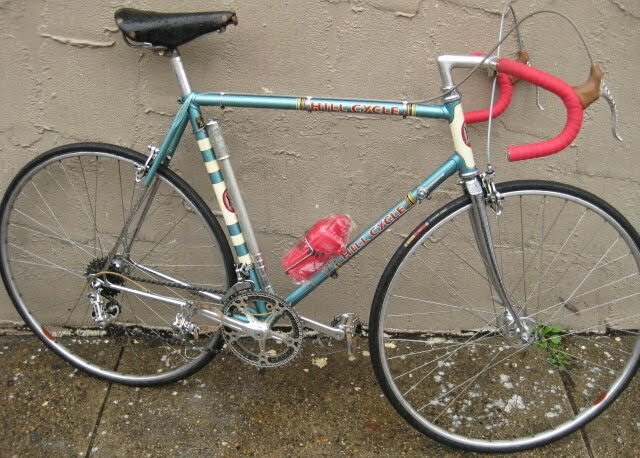 A beautiful early 1970s Holdsworth decaled as a Hill Cycle, the premier pro cycling shop for many decades in the Philadelphia area. 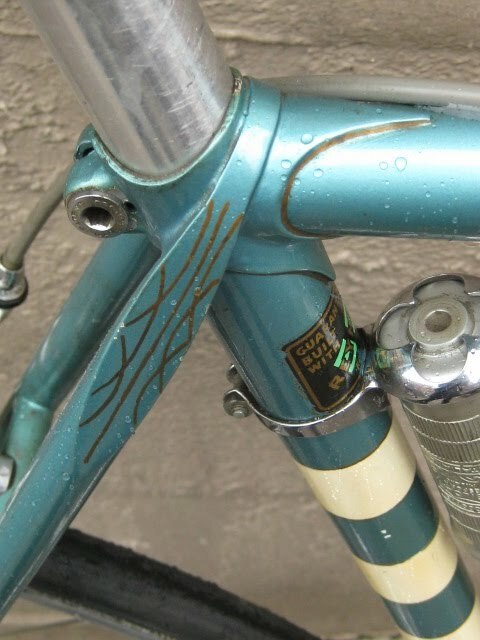 This was the show bike, detailing some of the high quality drillium that they were capable of doing. 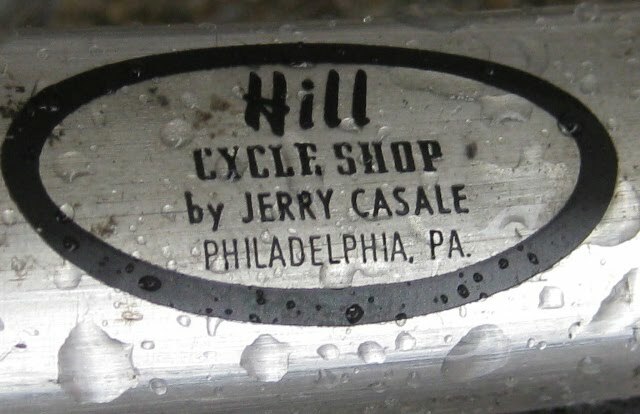 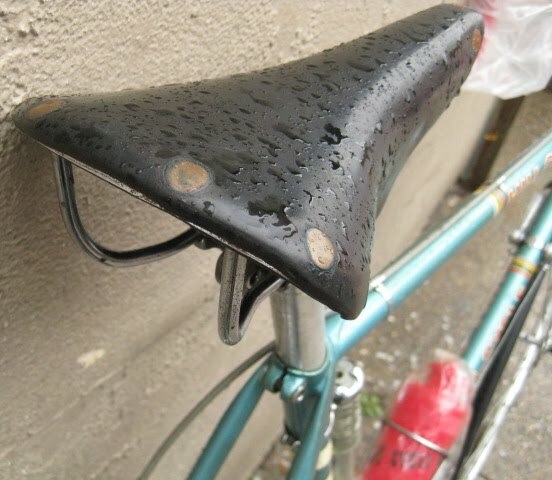 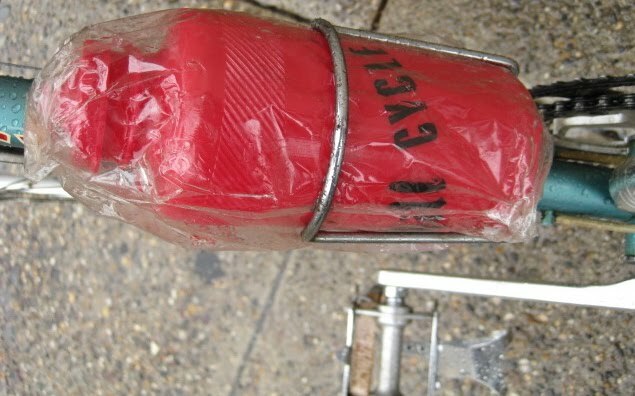 Back in the early 1970s, drilling and milling parts was all the rage in the pro-cycling world. 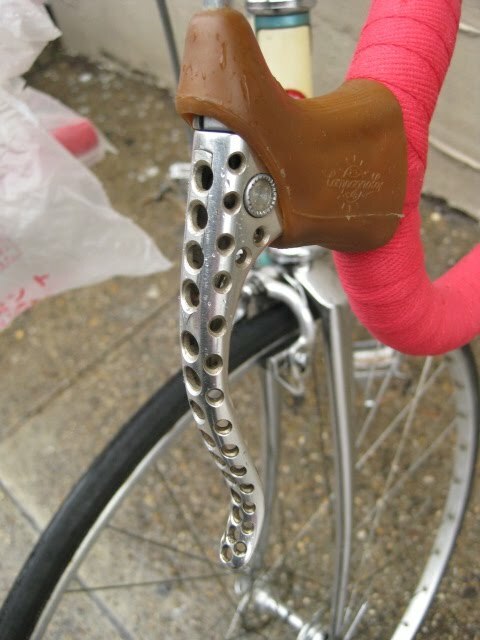 Sure there was a limit to how much material could be taken out, but there was only one way to find out. 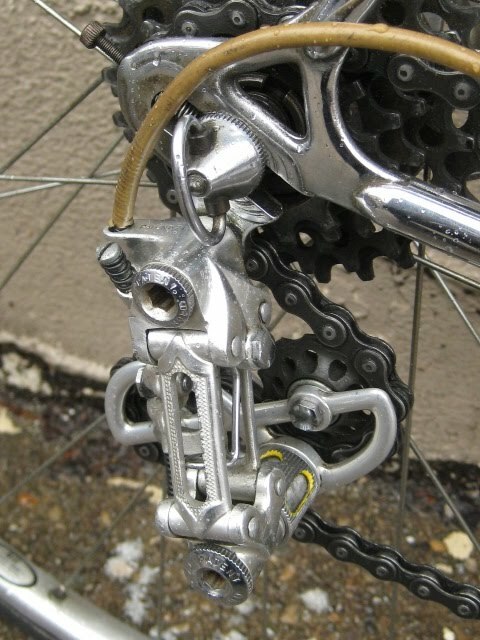 Check out the brake levers and the chainrings look like swiss cheese! 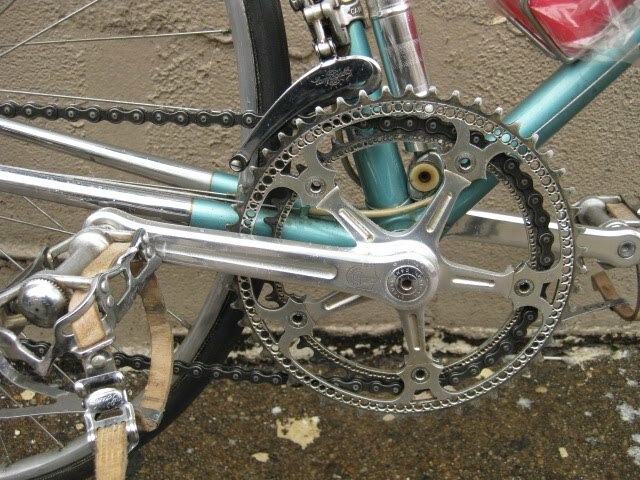 The derailleur jockey wheels are even drilled for weight savings.